UK engine manufacturer Cox Powertrain is to preview what it calls the world’s first 300hp marine diesel outboard engine, the CXO300, at this year’s Cannes Yachting Festival. Built specifically for marine use, Cox has brought together highly skilled engineers from Formula 1 racing and premium automotive engine design to develop this completely new concept diesel engine, providing gasoline outboard performance, with diesel economy and reliability. Delivering 300hp and weighing only 300kg, the CXO300 is said to be the largest diesel outboard engine to be developed for the luxury yacht market and eliminates the need to carry petrol and associated equipment on board. It offers significantly lower running costs than its petrol equivalent, longer service intervals and a greater range. “Cannes is a highly important event for us to showcase our technology to the luxury yacht market,” says CEO Tim Routsis. “The development of the CXO300 is now entering the final stages of a five-year development programme so we are excited at the prospect of introducing this game-changing technology to the market ahead of its launch. 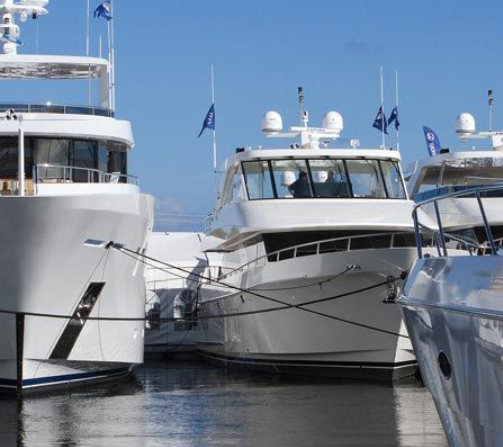 Based in West Sussex, Cox Powertrain designs and builds marine diesel outboard engines for worldwide and multi-market applications including commercial and government marine operators. Cox says that with petrol now not permitted onboard many commercial vessels and superyachts, the development of a viable diesel outboard for RIBs and tenders that offers the comparable power and weight of a gasoline engine has been an important factor in the company’s rapid expansion. Original article: Please click here.